Jerome County is a county in the state of Idaho. Based on the 2010 census, the county had a population of 22,374. The county seat and largest city is Jerome. The county was created on February 8, 1919. Jerome county is named after either Jerome Hill, a developer of the North Side Irrigation Project, his son-in-law Jerome Kuhn, or his grandson Jerome Kuhn, Jr.
Jerome County is part of the Twin Falls, ID Micropolitan Statistical Area. Jerome County is named for either Jerome Hill, Jerome Kuhn or Jerome Kuhn, Jr., three related local leaders important to the county. 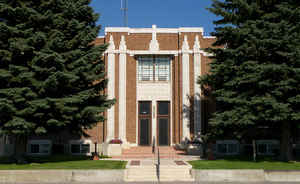 Established February 8, 1919 with its county seat at Jerome. 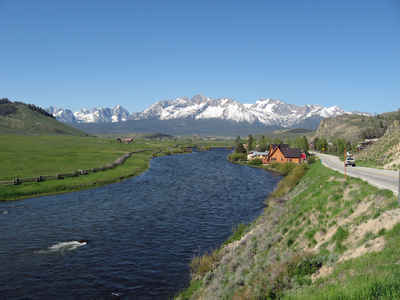 Three sources for the name are commonly given: Jerome Hill, one of the developers of the North Side Irrigation Project; his grandson, Jerome Kuhn, Jr.; or his son-in-law, Jerome Kuhn. All were important to the growth of the county. As reported by the Census Bureau, the county has a total area of 602 square miles (1,560 km2), of which 597 square miles (1,550 km2) is land and 5.0 square miles (13 km2) (0.8%) is water. 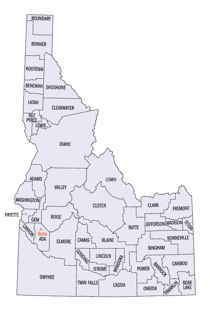 Jerome county is located in south Idaho. Minidoka National Historic Site is located in this county.